whose core technology is being continuously developed. through global alliance in the movement of the fourth industrial revolution. Mobile Appliance is a company who leads in popularizing the PND products in Korean market and has achieved the PND export sales of $30 million in 2006. It has been continuously developing the technology and products required for smart cars and autonomous vehicles. We are also growing as a company in the field of supplying related solutions and products to global automobile companies. organization principle puts people first. Sensors of the vehicle detect driver and driver's surroundings and support safe driving through various visual, factors. 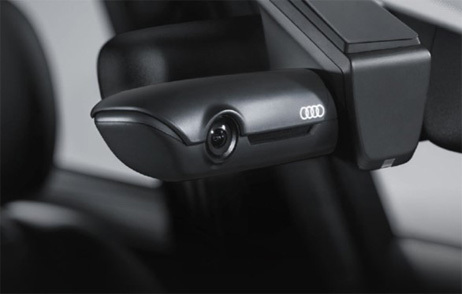 It has expanded the technology from the basic driving assistance systems in vehicle distance information and collision warning alarm to further extend the basic technologies of autonomous vehicle such as high beam control, drowsiness prevention, traffic sign recognition and others. Further, the driver assistance system is a technology that is the basis of an autonomous vehicle. Mobile Appliance is a leading company in the field of advanced autonomous vehicles in the fourth industrial revolution. 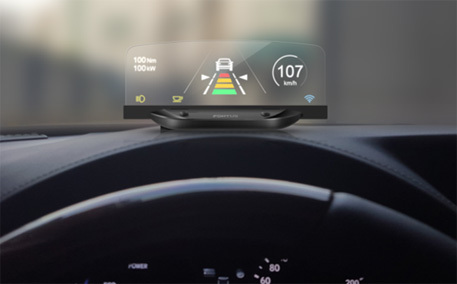 It refers to an augmented reality device that displays information on the windshield of a vehicle. Driver can look at the driving information while keeping his or her gaze forward, which is essential for the driver's convenience and safe driving. 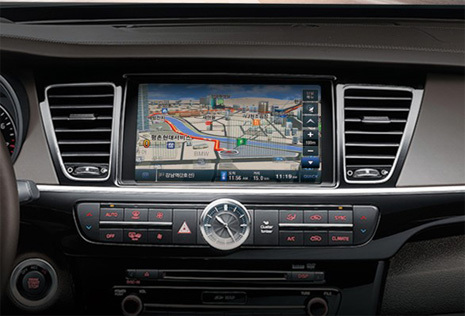 In the conventional navigation system, Driver would have to turn your head to look at the screen, but the HUD brings information on the front windshield while driver is still watching forward. It is a core technology of smart car that can provide more information safely. Mobile Appliance's HUD systems are competitive enough globally to be adopted by a system of the world's famous car brands. Connected cars and IoT refer to vehicles in which various parts of a vehicle's electronics, components and interior equipment are connected to other things, such as the Internet and mobile devices, to provide safety or convenience. 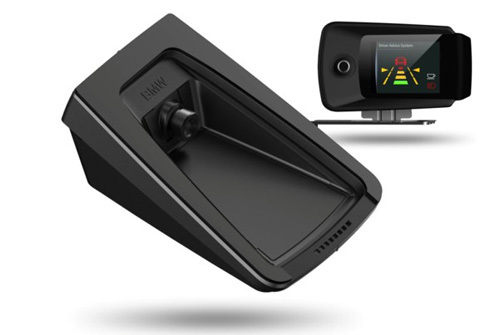 HUD & Car DVR system and smartphone are linked to provide the Infortainment system for automobile. We are developing an automotive IoT system that verifies various information using IoT communication through HUD/Car DVR/ADAS/navigation systems. Mobile Appliance's Car DVR solution is recognized for its excellence, is currently being supplied to leading domestic and international brands, and is leading the market with continuous research and development. 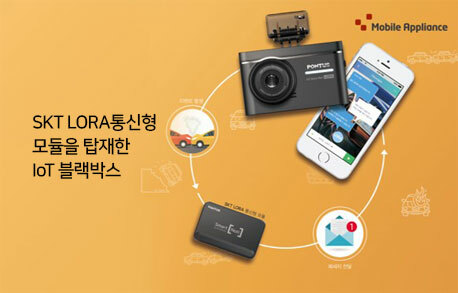 The Mobile Appliance’s Car DVR provides IoT services using the ‘LoRa’ network, an SK Telecom’s dedicated IoT network. Thus, the system has evolved so that when an accident occurs during driving or when parked, SMS notification is sent from the smart Car DVR. In addition, the world's first radar-equipped ultra-low-power parking mode was implemented by minimizing battery consumption. Mobile Appliance is a leading company in the navigation system whose navigation systems have been exported to leading companies in the world such as Siemens, Bosch-Blaupunkt. M-BOX: We developed M-BOX, which is a box-shaped navigation system without LCD to be connect to a display, and are accelerating the development of next-generation navigation system with ultra-precision maps for autonomous driving.